Happy Friday all! I wasn't able to hit up a ton of thrift stores this week but I did stop by a local kids consignment store. I have been on the hunt for some tennis shoes for my girl, now that she is walking but had not been having luck with finding anything. So when I stumbled upon these, I was so excited! 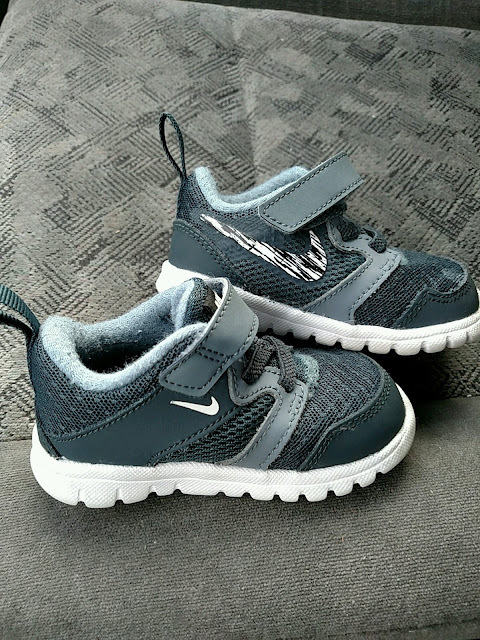 Had I bought them brand new, these would retail anywhere from $20 to $35 in my little girls size. I got these for only $7! And they are super good condition. I don't even mind the color, because grey will go with almost anything. Have you scored any thrift deals recently? I would love to hear about them!